WASHINGTON (Aug. 23, 2018)–An international team of researchers discovered a new species of dinosaur, Xiyunykus pengi, during an expedition to Xinjiang, China. The discovery is the latest stemming from a partnership between the George Washington University and the Chinese Academy of Sciences. The findings were published today in Current Biology along with the description of a second new intermediate species, Bannykus wulatensis. 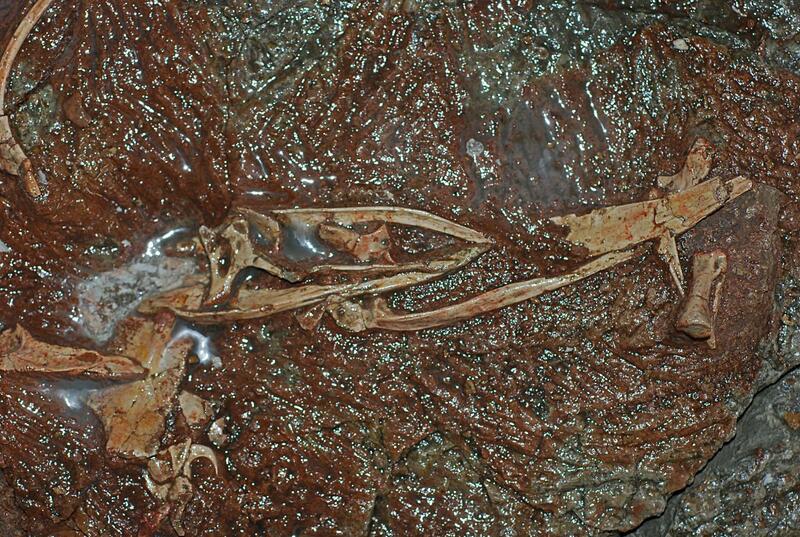 "When we described the first well-known alvarezsaur, Mononykus, in 1993, we were amazed at the contrast between its mole-like arms and its roadrunner-like body, but there were few fossils connecting it back to other theropod groups," James Clark, the Ronald Weintraub Professor of Biology at the GW Columbian College of Arts and Sciences, said. "It can be hard to pin down the relationships of highly specialized animals. But fossil species with transitional features, like Xiyunykus and Bannykus, are tremendously helpful because they link bizarre anatomical features to more typical ones," Jonah Choiniere, an associate professor at Wits University and member of the research team, said. "Our international field teams have been tremendously productive over the years," Dr. Xu said. "This research showcases just some of our incredible discoveries."